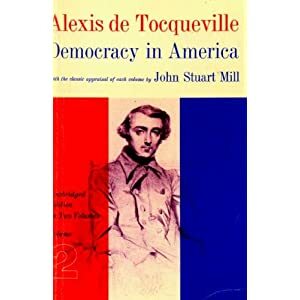 There’s a famous quote, commonly attributed to Alexis de Tocqueville, about the American character. America is great because America is good. If America ever stops being good, it will stop being great. What makes this quote so popular (even though Wikipedia says it’s not actually from de Tocqueville) is the instinctive understanding that a society’s success is at least in part driven by the moral character of its people. And even if the quote is incorrectly attributed, it clearly is something that could have come from de Tocqueville. In his writings, he openly acknowledged that good laws were only part of what’s needed for a successful society. This is spot on. A nation is far more likely to be successful if people have the right attitudes, what’s variously referred to as social capital, national character, cultural capital, civics, or tradition. Here’s what I wrote about the topic last year. …social capital…refers to the attitudes of a country’s people….Do the people of a nation believe in the work ethic? Or would they be comfortable as wards of the state, living off others? Are they motivated by the spirit of self-reliance? Would they be ashamed to go on welfare? Do they think the government is obligated to give them things? The answers to these questions matter a lot because a nation can’t prosper once you reach a tipping point of too many people riding in the wagon and too few people producing. I fear that many nations, such as France and Greece, have already reached the point of no return. And I’m worried America is on the same path. That’s the main reason I created the Moocher Hall of Fame. Yes, taxpayers should get outraged how their money is being wasted, but the far bigger problem is the mentality, present is an ever-growing number of people, that there’s nothing wrong with living off the government. Sort of as depicted by this Lisa Benson cartoon. Though it would be more accurate to say that too many people are opting to live off the work of others. After all, the government doesn’t have money to redistribute unless it is taxed or borrowed from those who earned it. But enough of my amateur commentary, which only scratches the surface of this issue. For those who want deep expertise and knowledge on the topic, I’m delighted (in a very pessimistic and dour sense of the word) to share some excerpts from a superb article in National Affairs by Nicholas Eberstadt, who is a scholar at the American Enterprise Institute. He starts by explaining that an ever-growing share of the population is receiving handouts and that this pattern is a threat to American exceptionalism. Asking for, and accepting, purportedly need-based government welfare benefits has become a fact of life for a significant and still growing minority of our population: Every decade, a higher proportion of Americans appear to be habituated to the practice. If the trajectory continues, the coming generation could see the emergence in the United States of means-tested beneficiaries becoming the majority of the population. …nearly half of all children under 18 years of age received means-tested benefits (or lived in homes that did). For this rising cohort of young Americans, reliance on public, need-based entitlement programs is already the norm — here and now. It risks belaboring the obvious to observe that today’s real existing American entitlement state, and the habits — including habits of mind — that it engenders, do not coexist easily with the values and principles, or with the traditions, culture, and styles of life, subsumed under the shorthand of “American exceptionalism.” Especially subversive of that ethos, we might argue, are essentially unconditional and indefinite guarantees of means-tested public largesse. For those who prefer hard numbers, here is a chart from his article. There’s so much interested data and analysis in the article, that it’s difficult to choose only a few things to highlight. But these passages are particularly depressing. The corrosive nature of mass dependence on entitlements is evident from the nature of the pathologies so closely associated with its spread. Two of the most pernicious of them are so tightly intertwined as to be inseparable: the breakdown of the pre-existing American family structure and the dramatic decrease in participation in work among working-age men. When the “War on Poverty” was launched in 1964, 7% of children were born outside of marriage; by 2012, that number had grown to an astounding 41%, and nearly a quarter of all American children under the age of 18 were living with a single mother. …As for men of parenting age, a steadily rising share has been opting out of the labor force altogether. Between 1964 and early 2014, the fraction of civilian men between the ages of 25 and 34 who were neither working nor looking for work roughly quadrupled, from less than 3% to more than 11%. In 1965, fewer than 5% of American men between 45 and 54 years of age were totally out of the work force; by early 2014, the fraction was almost 15%. …mass gaming of the welfare system appears to be a fact of modern American life. The country’s ballooning “disability” claims attest to this. Disability awards are a key source of financial support for non-working men now, and disability judgments also serve as a gateway to qualifying for a whole assortment of subsidiary welfare benefits. Successful claims by working-age adults against the Social Security Disability Insurance (SSDI) program rose almost six-fold between 1970 and 2012 — and that number does not include claims against other major government disability programs, such as SSI. Ugh. It’s almost as if this Chip Bok cartoon is becoming a depiction of American reality. To close, here are some excerpts that put the issue of dependency in broader context. The burning personal ambition and hunger for success that both domestic and foreign observers have long taken to be distinctively American traits are being undermined and supplanted by the character challenges posed by the entitlement state. The incentive structure of our means-based welfare state invites citizens to accept benefits by showing need, making the criterion for receiving grants demonstrated personal or familial financial failure, which used to be a source of shame. …The entitlement state appears to be degrading standards of citizenship in other ways as well. For example, …The late senator Daniel Patrick Moynihan once wrote, “It cannot too often be stated that the issue of welfare is not what it costs those who provide it, but what it costs those who receive it.” The full tally of those costs must now include the loss of public honesty occasioned by chronic deception to extract unwarranted entitlement benefits from our government…collusive bipartisan support for an ever-larger welfare state is the central fact of politics in our nation’s capital today, as it has been for decades. Until and unless America undergoes some sort of awakening that turns the public against its blandishments, or some sort of forcing financial crisis that suddenly restricts the resources available to it, continued growth of the entitlement state looks very likely in the years immediately ahead. So what’s the answer to this mess? Without question, the first step is to get Washington out of the business of imposing a one-size-fits-all system on the country. Simply stated, take the money in Washington that is spent on all redistribution programs, lump those funds into a block grant, and then turn the money over to the states and give them free rein to decide how best to alleviate poverty without creating discomfort. Republicans, to their credit, already have proposed that solution for Medicaid. But they need to expand that legislation to other means-tested programs. The real key to success, though, is slowly but surely phasing out the block grant. It’s good to give states flexibility in spending money, but you won’t get responsible decisions unless states – at some point – are also responsible for raising the money. In other words, the answer is federalism. And because this means jurisdictional competition, we’re quite likely to get better policy. After all, if crazy states such as California, New York, and Illinois want to impose high tax rates to fund overly generous handout, they’ll quickly learn why that’s a bad idea since productive people will emigrate and welfare recipients will immigrate. Ideally, state lawmakers will decide that welfare programs should focus on people with genuine material deprivation and not …. Writing about Eberstadt’s article, George Will highlights the fact that you no longer have to be poor to get freebies from federal anti-poverty programs. Between 1983 and 2012, the population increased by almost 83 million — and people accepting means-tested benefits increased by 67 million. So, for every 100-person increase in the population there was an 80-person increase in the recipients of means-tested payments. Food stamp recipients increased from 19 million to 51 million — more than the combined populations of 24 states. What has changed? Not the portion of the estimated population below the poverty line (15.2 percent in 1983; 15 percent in 2012). Rather, poverty programs have become untethered from the official designation of poverty: In 2012, more than half the recipients were not classified as poor but accepted being treated as needy. And as you read that passage, keep in mind that the poverty line in America is well above the average level of income in most parts of the world. But the left wants to redefine poverty in ways that enable redistribution to people who aren’t poor. P.S. Here’s a great video on differences between the United State and Europe. And here’s a video that is best described as the result of an affair between Dr. Seuss and a think tanker. P.P.S. Here’s a superb Chuck Asay cartoon on how government undermines social capital. And here’s a Michael Ramirez cartoon making the same point. P.P.P.S. If you enjoy satire, here’s a book of left-wing nursery rhymes. P.P.P.P.S. And if you want to know one of my fantasies (which deals with the entitlement mindset), click here. P.P.P.P.P.S. Last but not least, here’s the famous set of cartoons showing the rise and (inevitable) fall of the welfare state. When our generation dies, American exceptionalism will be gone. Today’s public school graduates cannot even read the Constitution nor sign their names. They have the morals of ‘hood gangster rappers and a perverse understanding of family. They cannot think, nor do they want to. They are sexual confused and have no morals (those are too much like religion). Their futures in economic slavery are sealed by the fiscal malfeasance of the current and past political hacks in Washington, District of Criminals. P.S. Not negative; I am a realist. Block grants to states is a ridiculous “solution”. Do we expect archangels at the state level to distribute the money wisely? How exactly would the block grant money be distributed to the states? No political influence involved? If you are going to give money away, give it to every adult citizen and let free markets take over. Funding would come from closed welfare programs both individual and corporate and the money released from income tax deductions and credits. For individuals with no or low incomes, this would replace federal welfare. For higher income individuals, this would replace tax deductions. Combining a cash payment with a flat tax makes for a “progressive flat tax” that would be politically acceptable, with no inherent dis-incentives. Let’s bypass state and federal bureaucrats and our outrageous tax code and let the free market operate, while making individuals personally responsible. Individual states can certainly provide welfare, but they should pay for it themselves. Most coercive compassion is self-serving. There is simply a small box on the ballot where you mark an X, and goodies from the labor of some detached minority comes your way. But the European experience of virtually every single European country (dating back to when every European country was independent – ie. since before the EU imposed a more unified path to decline) suggests that convincing the electorate to give up the temporary relief of redistribution in return for long term permanent structural growth will fall on deaf ears. Short term ephemeral compassion leads to the cruel and more permanent state of systemic decline. However, the light of coercive compassion is irresistible to the voter-moth. Hence cultures and electorates keep been taught the same lesson with enormous pain, yet they never seem to learn. But human cultural evolution and the reality of human nature cannot be stopped. The branches of evolution that will spawn the next successful cultures cannot be stopped. But to count on the probability that the American branch you live on will be the one continuing its successful trajectory, is a probabilistic long shot. Very long shot. A worldwide outlook, mobility and international horizons remain the best skills you can teach yourself, and especially your children. Then as the new breakout nations arise, you will be ready to leave the mediocre with their fading Obama “Yes we can!” posters in the basement. They will have few options but to fester in the very decline they brought upon themselves. What worries me most about America’s future is that international competitiveness depends on narrow margins. It’s like the joke where two campers in the Serengeti suddenly face a lion and one starts lacing up his running shoes. “You have to think of something else, says the other, you will never outrun a lion”, to which he replies “the only one I have to outrun is you”. We all seem to understand this when it comes to companies who are open to international competition. A ten percent rise in costs, a ten percent fall in quality, innovation etc. does not simply mean you sell proportionately less. It is, in most cases, the difference between the virtuous cycle of excelling and funneling more funds into your exceptionalism and the death spiral of meager sales, dwindling investment and annihilation. Yet, feeling foolishly safer inside out borders and shielded by the big inertia of a large country we seem to ignore this fact when it comes to national societal competitiveness. Effort-reward curves in America may have now become sufficiently similar to the rest of the world that America has already entered the early stages of the death spiral. I find Americans around me completely oblivious to what decline means and how it starts. Perhaps because the tremendous endowment of freedom (and the steep effort-reward curves it implies) had always put America on top of its competition, so Americans do not really know what decline is, and how close the death spiral is as a culture converges to the world norms. Seems to me that two centuries of rising coercive collectivism (the entropy of civilization) have eroded America’s cultural advantage margins. The dependency numbers only confirm this shift in culture, convergence to the worldwide norm, and inevitable absorption of the American standard of living into the world average. In fact, my estimate is that the tipping point has passed and Americans are now simply living through the short years of momentum. Momentum afforded by the mass of the American economy. But momentum works both ways. Once on the wrong route, it is much more difficult, virtually impossible, for a massive country to right itself. This is why there is a strong correlation between small countries and prosperity. Because small countries immediately receive the effects and feedback of bad choices, and have a better chance o correct them, though most still don’t. For a big country it becomes virtually impossible, as the unification of Europe into entrenched decline policies seems to confirm. The only big countries that are prosperous are those who had the luck of starting from a clean slate (zero entropy, zero coercive collectivism) and had the serendipitous fortune to be seeded by the English descendants of Adam Smith. All other big countries are a mess and the list of most prosperous nations in the world is dominated by small countries, the first big exception being Americans. But with Americans now finally having discovered how democracy works, they are on trajectory to drop from the list. It is only logical that since Americans are converging towards the European values they once rebelled and fought against, that their prosperity destiny should also converge with the Old Continent. In a word: DECLINE. At a time when three to four billion people are increasing their competitiveness being finally liberated from centuries of coercive collectivism, America embarks on a cultural change to flatten its once exceptional effort-reward curves. Dan, check out nxt.org … download the wallet, list some products for sale there in your wallet. Send me you NXT- address and I’ll get you started. Check out how there is an active and unregulated stock market that functions on a peer-to-peer exchange that so far can’t be shut down. Check out how businesses are flourishing in this new environment which is free from human ownership (and hence free from human greed … the systems are trust-less, meaning that no one is capable of cheating another). We are slowly replacing government functions with computer scripts. Soon you’ll be able to buy health insurance on the blockchain. Soon doctors will take patients on the side who pay with honest money on payment systems which are free from corruption, red-tape, and taxes. It is a pure market system, and its about to take over the world.